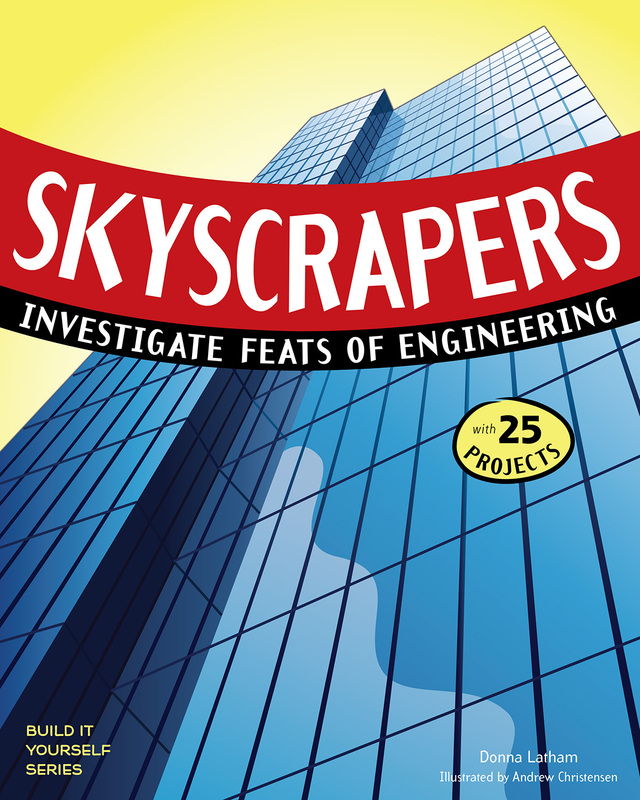 For STEM Friday this week we’re featuring one of our newest titles at Nomad Press, Skyscrapers: Investigate Feats of Engineering with 25 Projects for kids ages 9 and older. What requires more STEM knowledge than a skyscraper! 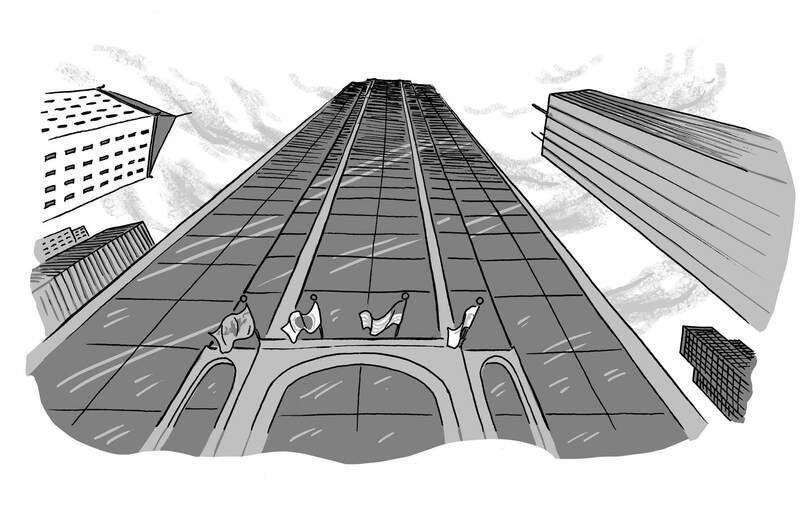 Designing and building a skyscraper requires knowledge of internal forces like tension, torsion, and compression, as well as external forces like hurricanes and earthquakes. So many variables must be considered when building the tallest structures in the world—structures people live in and use every day! Our book is an excellent introduction to civil and structural engineering. It even provides an overview of the engineering design process and the steps engineers follow when they tackle a problem, leading them to a solution for a new product, system, or structure. Projects in our book include building a sugar cube step pyramid and a freestanding spaghetti skyscraper! It also includes cool facts. For example, did you know the Empire State Building gets struck by lightning around 100 times PER YEAR?!?! It was actually designed as a lightning rod for neighboring buildings. Who knew? Now you do! Reading a story at bedtime is a wonderful nightly ritual that helps children get ready for sleep. The rhythm of language and the sound of a parent’s voice help calm and soothe even the most rambunctious child (OK – some may require a second story…) and, according to literacy experts, reading aloud helps your child learn to read. If it works for language literacy, why not math literacy? That’s what Laura Overdeck wondered a few years ago, so she began telling her children math stories each night. The stories ended with a problem that they could figure out as they snuggled beneath their blankies. After all, says Laura, we count sheep when we can’t sleep. Why not count something else? 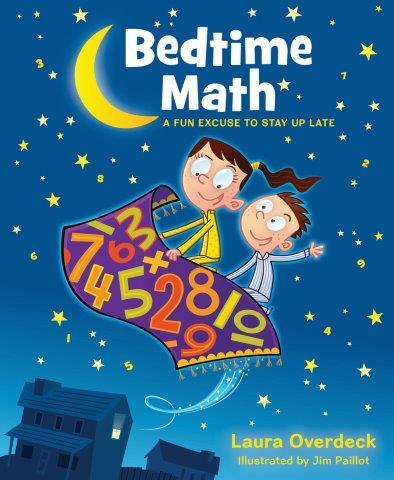 Laura collected some of her best math stories and put them into her new book, Bedtime Math – appropriately subtitled A Fun Excuse to Stay Up Late. She pairs kid-friendly stories with three levels of age-appropriate math problems. There are problems for wee ones, problems for little kids, and problems for big kids – with no age levels attached because, as Laura points out, everyone has different math abilities. There are math problems about tossing spaghetti at the wall and walking dogs. There are problems about the weather and roller coasters and popcorn. There are more than 100 problems in all… and (very important for some of us) an answer key at the back with equations used to solve the problems! If reading to our kids can increase their reading ability, then playing around with math before bedtime should increase their math literacy. And doing math does not get kids all wound up – because this math is not required! Numbers are soothing and predictable, says Laura, and math problems give kids a reason to settle down and focus. The best thing about this book: you don’t have to do math at bedtime! You can do it at breakfast, or in the car driving. And you don’t have to think up a problem – you can open the book to a story and voila! there’s a problem ready-made (with handy dandy answers at the bottom of the page). Best thing #2 – Laura has an awesome website where she posts nightly bedtime math problems. You can even sign up to get daily math problems delivered into your email box so you can keep doing bedtime math while waiting for her second book to come out. Can’t wait for the book? Go to Bedtime Math. Check out my interview with Laura Overdeck over at Archimedes Notebook. And check the comments for this blog to see what books and STEM resources other bloggers are reviewing for STEM Friday. This week’s STEM Friday featured book is Seasons of the Freshwater Pond Biome by Shirley Duke. Summer, winter, spring, and fall, see the changes to the freshwater pond biome throughout the year. What makes this a great STEM book? This book offers a unique approach to understanding the freshwater pond biome. By taking readers on a trip through the seasons, they can easily understand the changes to climate, plant life, and animals that occurs throughout the year. This is an excellently written and engaging science read. How does this book appeal to young readers? Because of the narrative nature of a year, young readers will appreciate the changes that the biome undergoes. Brilliant photos support readers and keep young readers turning pages. Copyright © 2013 Rourke Educational Media All Rights Reserved. Judge, Lita. 2013. How Big Were Dinosaurs? New York: Roaring Brook Press. Just how big were dinosaurs? Well, it’s easy to offer an approximate size in feet or meters or tons or pounds – but what does that mean to the average child? Not too much. How Big Were Dinosaurs? uses cheerful comparative artwork to make common comparisons that children will easily understand. ARGENTINOSAURUS. As long as four school buses, this dinosaur was probably the biggest animal ever to walk on land. A full-grown adult weighed more than a herd of seventeen elephants. A double fold-out featuring each of the dinosaurs in the book is accompanied by a few pages titled, “How do we know how big dinosaurs were? A few suggested websites and books are also included. Kids will finish this book with a great sense of the relative sizes of dinosaurs. Copyright © 2013 L Taylor All Rights Reserved. Categories: STEM Friday round-up | Tags: dinosaurs | Permalink.